Before I go any further....if you haven't checked out the top five from last week please do........they are AMAZING!!!! And I feel so bad cuz I have really been slacking lately when it comes to visiting the challenge participants blogs and leaving love.......life gets in the way sometimes....and if you have read a blog post or so back you know that :) So I was clueless until I checked in and saw everyones AMAZING work! This week our Challenge is Summertime!!! 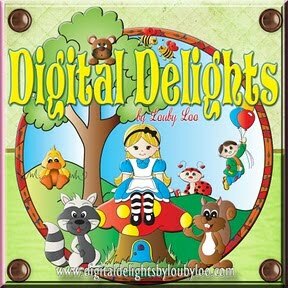 And our wonderful sponsor for this week is Wendy (aka Louby Loo) and Digital Delights! She is offering a very generous $10 gift certificate to the winner to be spent in her awesome digital shop! I went and peeked and she has some real cuties in there!! Now...... how many of ya'll remember before he was a Man in Black, or Ali.......that Will Smith was "The Fresh Prince"? And way before he was fighting aliens and saving the world, he hung with a dude known as DJ Jazzy Jeff......and they did a little ditty called SUMMERTIME!!!! I did this layout about one of my favorite parts of summer.....waiting for the mulberries to ripen on our bush. We just found it a couple of summers ago on our land and now we have a blast picking, eating, and making a mess.....lol. 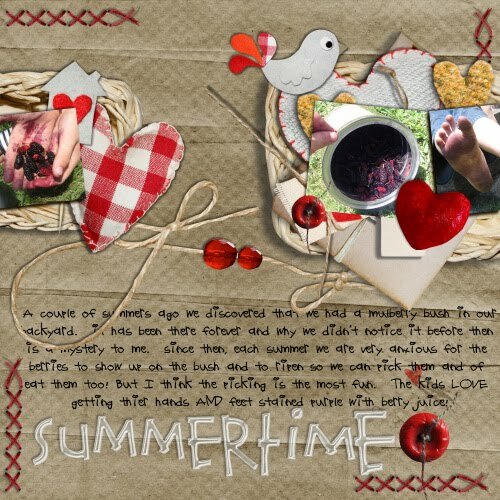 I used a digi template from Sara Gleason aka zinnias and swallowtails from AfterFiveDesigns. This one was a freebie for her July Challenge that I totally missed......grrrrr!!! And the journaling font is DJB Suzie. And yeah you see one of my kiddos stinky feet in the pictures.......LOL. So cmon over and play with us as we celebrate Summertime!! You sure make digital look easy! I haven't stepped into that realm yet! Great LO!